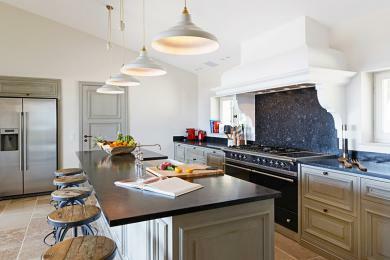 Luxury holiday villas in Montauroux. 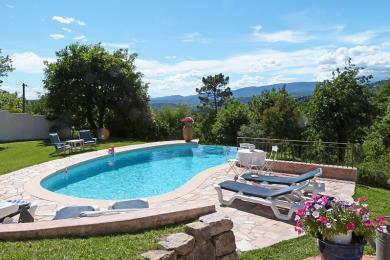 Comfortable detached villa with private swimming pool located in Montauroux, Provence. 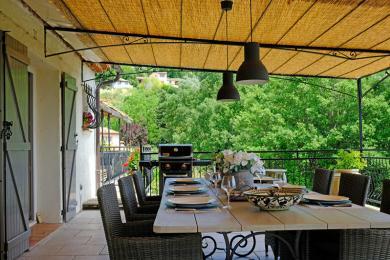 The villa offers stunning views of the surrounding hills and the village of Montauroux. The villa offers a luxurious pool area with a lot of privacy. The villa sleeps 8 guests. 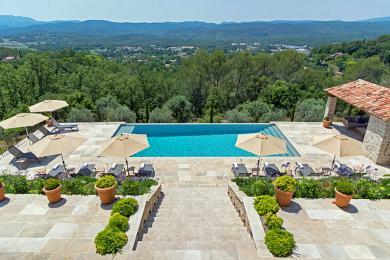 A five-star country house with private pool near Montauroux, Provence. The swimming pool terrace is ideal for soaking up the sunshine. Sleeps up to 10 guests. 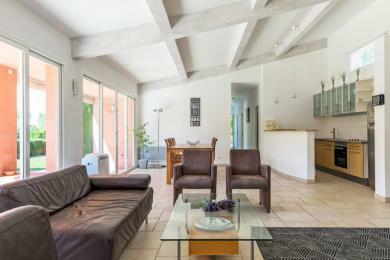 Exclusive villa with private pool in a quiet green area near Montauroux. This villa, designed by an architect, offers all possible luxury. Think of a beautiful living room, modern kitchen, designer bathrooms and upscale bedrooms. Also for the exterior everything is thought through. The villa can accommodate 9 people. Sleeps up to 9 guests. 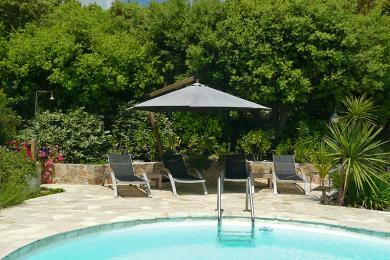 Comfortable villa with private pool in Motauroux, Provence. The villa has a beautiful view on the valley and the Estelle mountains. 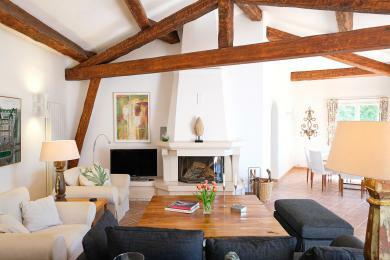 The villa lies on 5000 square meters of grounds and offers a lot of privacy. 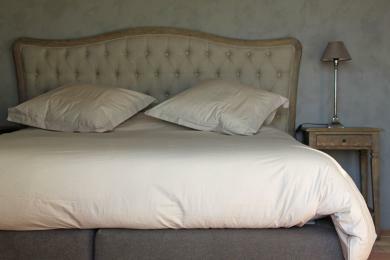 The villa is cozy furnished and has an indoor apartment with separate entrance. The villa sleeps 8 guests. 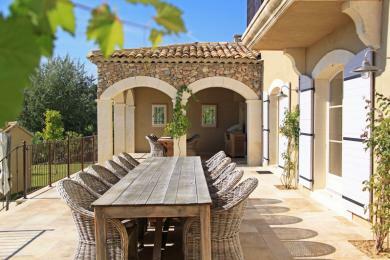 Comfortable villa with private pool in the village of Montauroux, Provence. This charming villa offers a nice view on the Lac de St. Cassien and the surrounding hills. 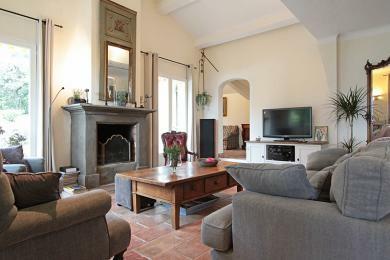 Situated on a quiet and spacious Domaine adjacent nature reserve. The villa sleeps 6 guests. 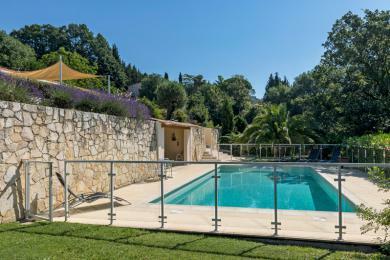 Architect-designed villa with private pool in Montauroux, Provence. Only a short distance from the village of Montauroux. With gated outdoor pool, ideal for the little ones. This villa sleeps up to 8 adults and 2 babies. 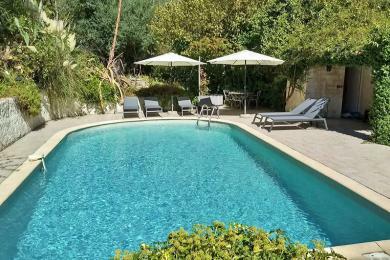 Large villa with private pool just outside Montauroux, Provence. 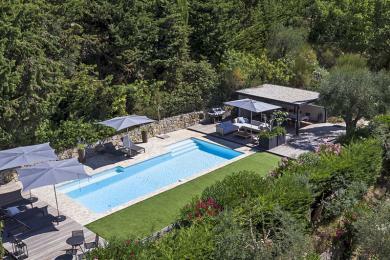 Set within 2500 m2 of gardens the villa offers far-reaching views across the Provençal hills. 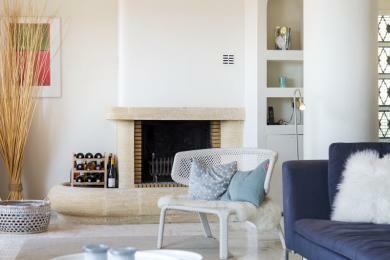 There are 3 bedrooms in the mainhouse and there is a separate annexe with another two bedrooms. Sleeps up to 10 guests.